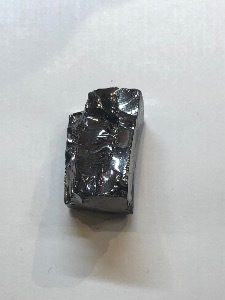 Type I Shungite, often called Noble or Elite. The most rare form of Shungite accounts for only around 1% of the Shungite found. It is a black vitreous mineral with a silvery metallic shine. 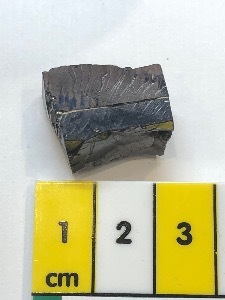 The conchoidal fractures that occur in this mineral make samples easily identifiable. This form of Shungite contains around 98% Organic Carbon. Sometimes this type is erroneously called Crystallised because of the naturally occurring facets at the faces where it has been broken. Type I Shungite is in fact an amorphous mineral and never crystallises into any crystalline form. Found only near the small town of Shun’ga near Lake Onega in Russia, Shungite is believed to have formed over two billion years ago. It has been used in healing within Russia since the time of Peter the Great (1682-1721). Who opened the very first Spa in Russia on the shores of lake Onega. 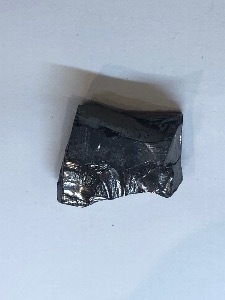 Scientific examination of Shungite shows it may contain almost all of the elements of the periodic table as well as Fullerenes. (A molecule formed entirely of Carbon in the form of a hollow sphere, ellipsoid or tube). Many protective, detoxifying and healing properties have been claimed for Shungite and it has been the subject of many Scientific and Medical studies into its capabilities. It is frequently used to counteract the effects of EMF (Electro Magnetic Fields) and the radiation from Cell Phones and WiFi as well as other electronic devices in everyday use today. Shungite is also said to act as a natural antioxidant, boosting our immune system, relieving pain and suppressing allergens. It has been used by the Russian Military since the time of Peter the Great as a water purifier and it is this property that first brought it to scientific attention. Experimentation in the early 20th Century also looked into its use as a healing accelerant. We are very pleased to bring you this Shungite from source, each piece is accompanied by a scientific analysis sheet produced from information provided by our suppliers. Approx dimensions 2cm long, 1.5cm wide and 1.3cm thick.